Wolfe County High School is a former school building turned apartments in Campton, Kentucky. Opened in 1942, it was the first publicly funded high school in Wolfe County and constructed during the Great Depression with funding from the Federal Works Project Administration (WPA). 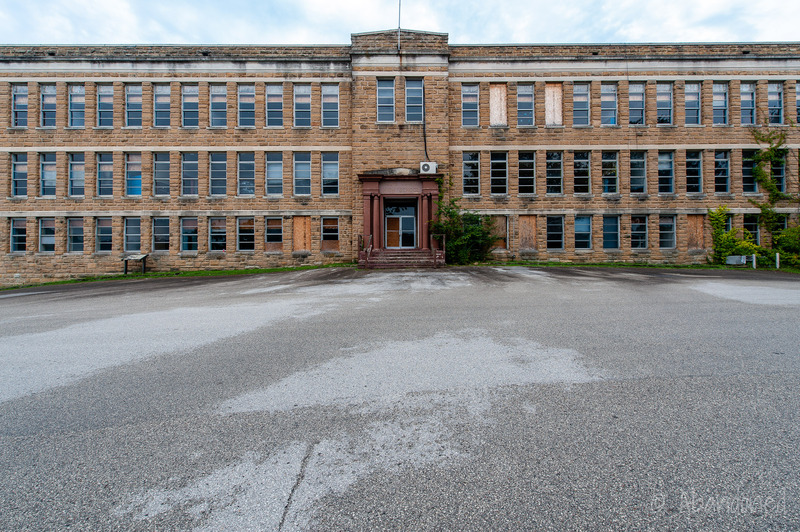 Construction began on Campton High School in 1937 and employed 143 men during the worst economic turmoil in the history of the United States. 1 The WPA’s goal was to provide as many jobs as possible in an attempt to restart the economy, so employment was rotated bi-weekly at the site so that all of the men had the opportunity to work. Sandstone was mined locally, cut into slabs at local quarries and hauled onto the construction site via mule-driven sleds. The stone was then cut into 14-inch blocks. AU Associates later acquired the property and rehabilitated the school into 19 mixed-income apartments and the Wolfe County Community Center. 2 The project involved reconfiguring the interior to feature 13 one-bedroom and six two-bedroom units. Sixteen units were restricted to 60% of the average median income and three units were left unrestricted. “Campton School Apartments.” AU Associates. N.p., 18 Mar. 2014. Web. 30 July 2014. Article.